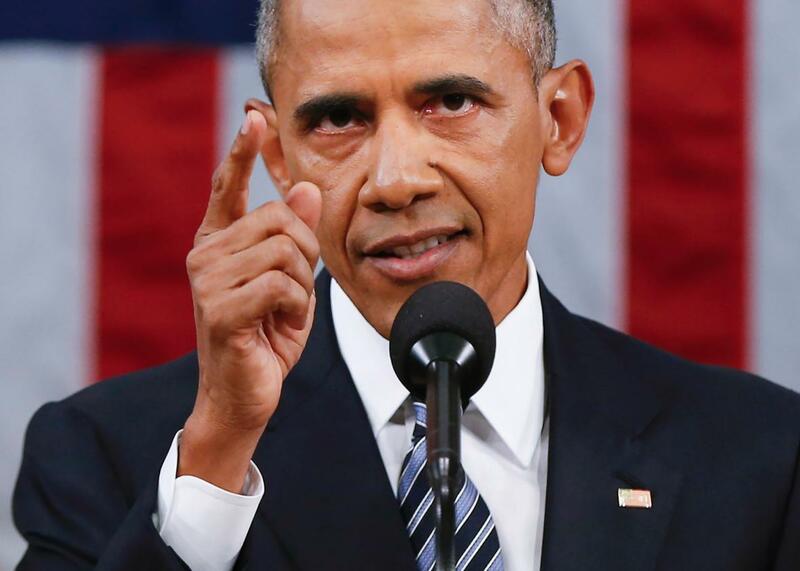 Obama discusses K–12 education priorities in final State of the Union. President Barack Obama delivers his State of the Union address before a joint session of Congress on Capitol Hill on Jan. 12, 2016, in Washington, D.C.
Obama really did change the conversation about early childhood education when he first pushed for an expansion of pre-K in the 2013 State of the Union. But some of his other education goals have proven more elusive. He didn’t mention, for example, that the long-overdue “bipartisan reform” of No Child Left Behind—also known as the reauthorization of the Elementary and Secondary Education Act or, in its latest iteration, the Every Student Succeeds Act—is in many ways a direct rebuke to his administration’s extremely hands-on education policies, with a dialing-back of federal involvement in favor of more local control. States are now no longer required to tie teacher evaluations to student test scores—a signature education-reform practice that Obama has endorsed. Obama also touted the steady climb in high school graduation rates, which hit a “new record high” of 82 percent in the 2013–14 school year—but he left out the sometimes-slippery methods high schools have employed to achieve this stunning milestone (like, say, misclassifying dropouts as “transfers”) and what, if anything, graduating from high school has to do with the ability to hold down a job or, you know, read. has been a leader in expanding access to computer science in K-12 classrooms, and in Teach.org, a private public partnership to increase awareness of and support for the teaching profession. In September, the company announced a new $75 million effort to expand computer science education, including opportunities for engineers from Microsoft and other companies with teachers to team-teach computer science. And oh, yeah—its founder, Bill Gates, happens to be a titan of education-reform philanthropy. But will Gates’ expensive efforts to overhaul our educational system succeed—and will Obama’s? To judge by the bipartisan repudiation of Obama’s K–12 policies in the new ESEA bill, it seems Obama gets a passing grade at best.